They are under starters orders and they’re off. All the latest cashback offers and racing specials from our leading bookmaker partners. So let’s saddle up and make some profits…. BET365 30/04/19 Back any single winner at 4/1 or more on a bet365 Feature Race and you can have a risk free bet to the same stake (up to £50*) on the next Bet365 Feature Race. BET365 27/04/19 Back any single winner at 4/1 or more on any race televised live on ITV or ITV4 and you can have a risk free bet to the same stake (up to £50*) on the next race broadcast live by ITV Racing. SPORTNATION 21/04/19 Back a winner at 4/1 or greater on selected races to get a free bet! Opt-in and stake up to £50 on a horse to WIN any of the selected races within 1 hour of the scheduled off time (shown below). If your horse wins and the SP is 4/1 (5.0) or greater, you will qualify for a free bet equal to the value of your original stake. Free bets will be credited on or before 4pm the day following the race. The Festival is considered the grande finale of the jump season with top class horses, trainers and jockeys from both sides of the Irish sea converging on the Kildare venue to settle scores and confirm reputations. So a big meeting calls for a big set of offers and the bookmakers have not disappointed. BET365 Back a winner at 4-1 or more with Bet365 in the featured races of the day and they'll give you a risk-free bet to the same stake on the next feature race (up to £50 per race) free bet up to £25. CORAL Place a single of £10 or more on any race at the Punchestown Festival (25th - 29th April 2017) and if your horse falls, is brought down or unseats the jockey, they'll refund your stake as a free bet up to £25. 188BET Place a single on any race at the Punchestown Festival (25th - 28th April 2017) with 188Bet and if your horse falls, unseats or is brought down, they'll refund losing bets as a free bet up to £25. You can gain instant access to the Racing Profits Maximiser Report with a Secret Betting Club Membership, which comes with a cast-iron 90 day money back guarantee. Enabling you to sign-up and try out our service absolutely risk-free. My Betting Profitability Has Gone To New Levels! – Real Member Testimonial“I have been an SBC subscriber for more than a year now. Thanks to your SBC services, my betting profitability has gone to new levels! I sincerely thank you for the services to which I have subscribed based upon your recommendations turning out to be winners after winners. Thanks for all your work in sorting the wheat out from the chaff to have enabled this to happen. Copyright © 2016 Minerva Publishing LTD, All rights reserved. Here at Racing Traders we are always on the lookout for angles to help our readers and members when trading so this latest feature — looking at horse racing front runners — is something that might be of interest. If certain horses like to lead in their races and there are no other potential front-runners then there can be some great trading opportunities to be had. 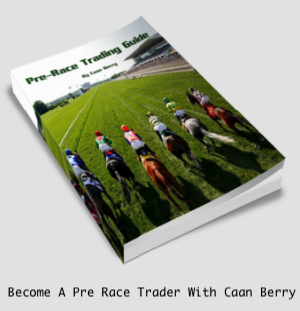 Generally, the horses that lead at the start of the race, or break well, will shorten-up in the in-running market – meaning as a trader you can factor this in before the race. If you know there is a strong chance a certain horse will lead in a race then you’ve an angle to place a ‘BACK’ trade just before the off and then trade-out early on in the race at shorter odds. You can then either hedge the profit across all the runners in that race or let the free trade run solely on that horse. So download a copy of our Sports Trading Software BetTrader and get trading! Following the launch of horse racing markets on it’s betting exchange, Matchbook has announced it has signed up to become an Authorised Betting Partner (ABP) of British Horse Racing. This is a huge step in the right direction as the industry has been crying out for a serious and committed alternative to Betfair that is going to take the whole betting exchange model and especially UK and Irish Horse Racing seriously. The announcement follows the news it will be the official betting partner of the first three days of the Qatar Goodwood Festival. Friend of Bet72, Matt Bisogno, he of GeeGeez fame has just posted an excellent in depth article into the Handicapping Process in Horse Racing and how it can be used to find winners in races. Just click below to access the article….